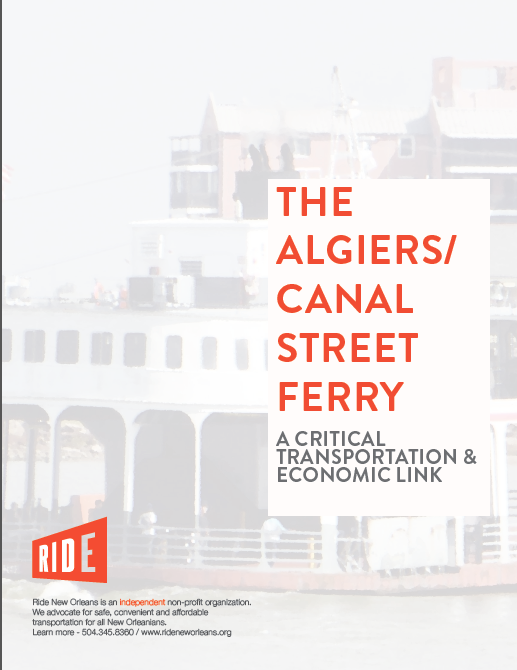 The Algiers – Canal Street ferry serves 1.1 million pedestrian passengers and 175,000 vehicle passengers per year from the early morning to late evening, making it the fourth largest ferry in terms of ridership in the country. 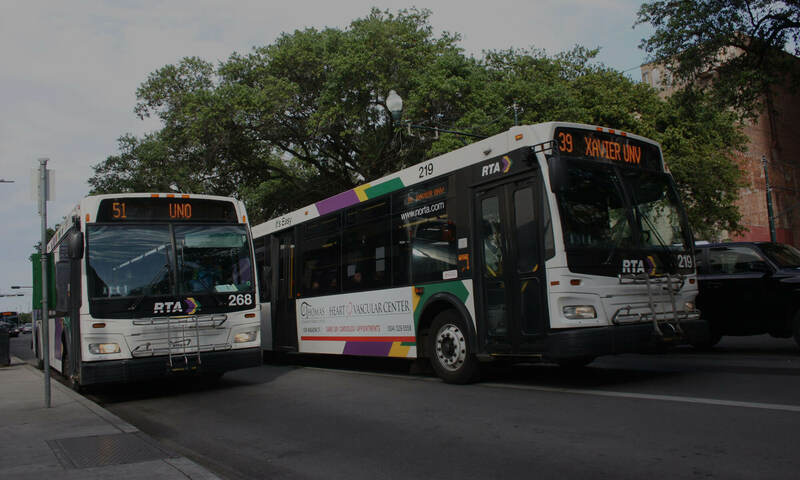 When the Louisiana State Legislature voted to strip ferries of their dedicated funding source in 2012, Ride New Orleans worked closely with West Bank residents and volunteers to conduct a survey of more than 1,500 ferry riders to add their voices to the conversation. Our efforts were successful as Transdev, the private company that currently operates RTA service, took over operation of the ferry service, supported by a state subsidy. But much work remains to be done! Our ferry system is a unique and special part of our city and should be a more central part of our transportation network. Working with allies on both sides of the river we remain committed to continued improvement and upgrades to our ferry system.